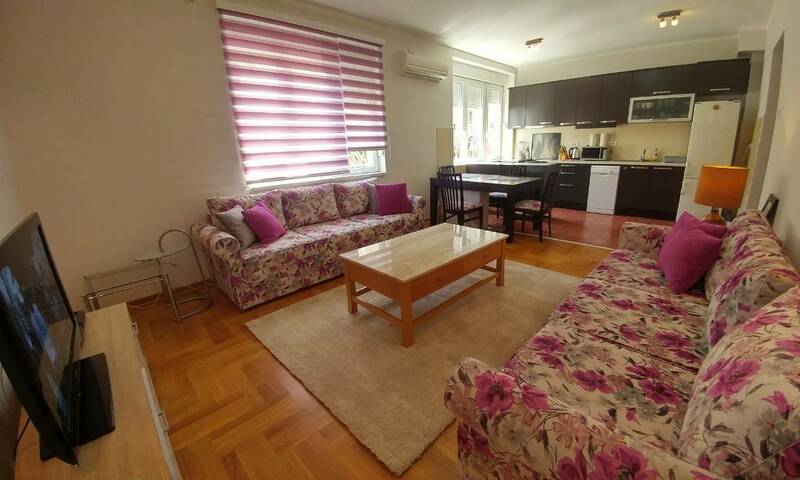 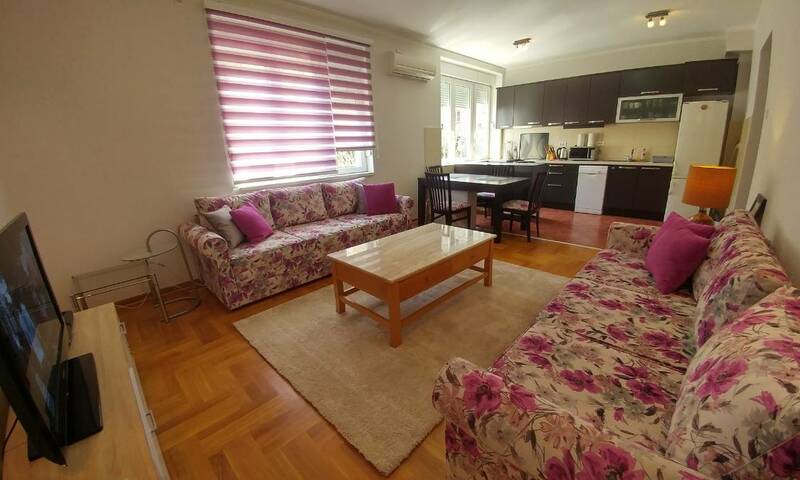 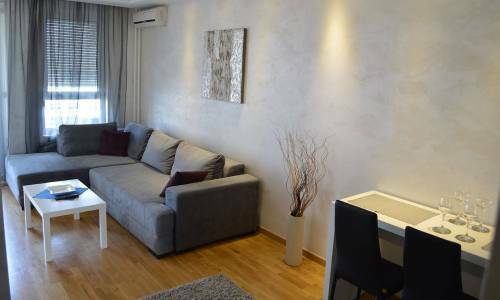 Apartment Harmonija is located in the very centre of Belgrade, in Visnjiceva street. 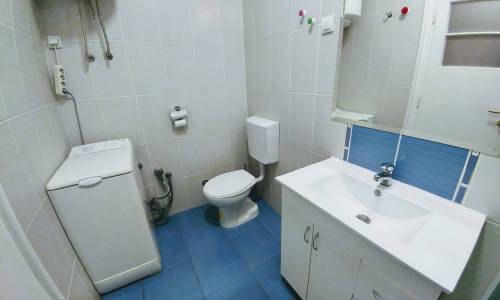 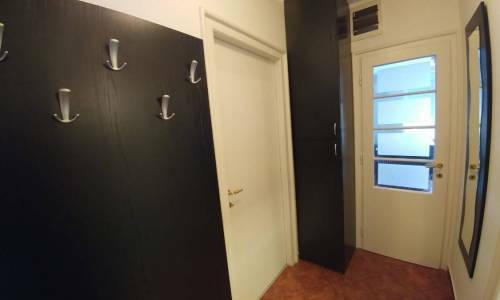 It's located on the second floor of the building with no elevator and is intended for a comfortable stay of up to 4 persons. 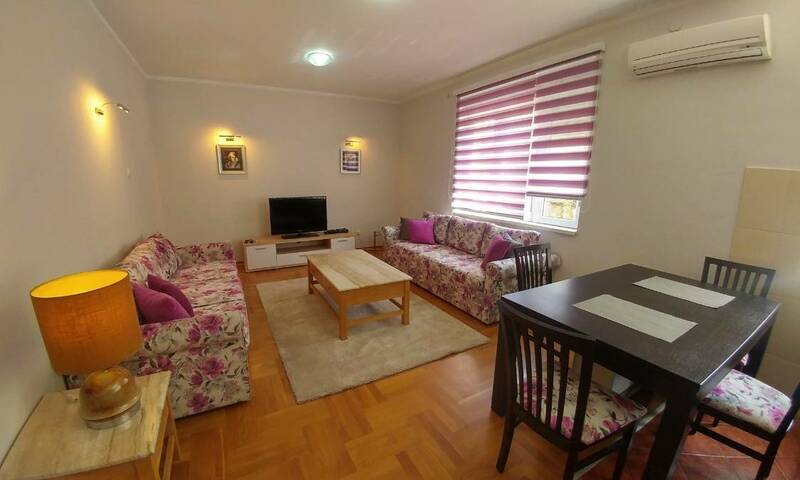 It's only a couple of minutes of light stroll away from Knez Mihajlova street and Kalemegdan Fortress. 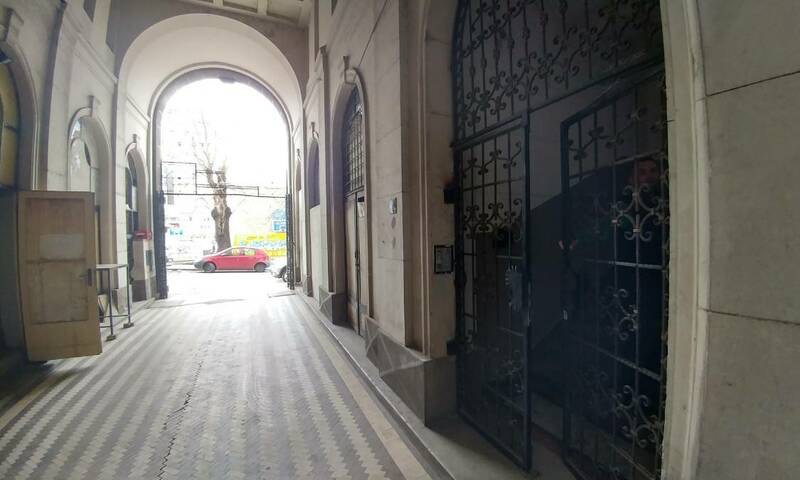 This part of the city can be considered the oldest area in Belgrade and you'll be able to meet both the old Belgrade and its modern tendencies, presented in the Shopping Mall Rajiceva and similar destinations. 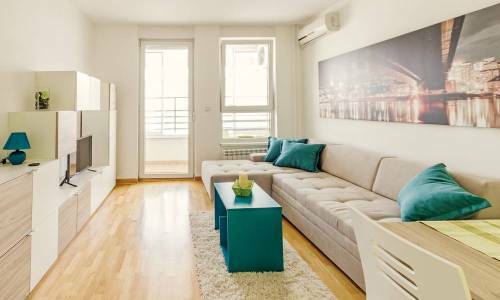 With the size of 48m2, this two-room apartment consists of an open-plan living room with 2 fold-out three-seater sofas. a bedroom with a double bed and a bathroom. 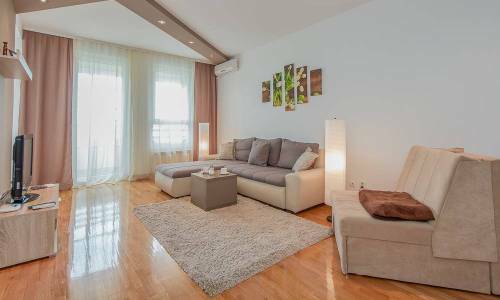 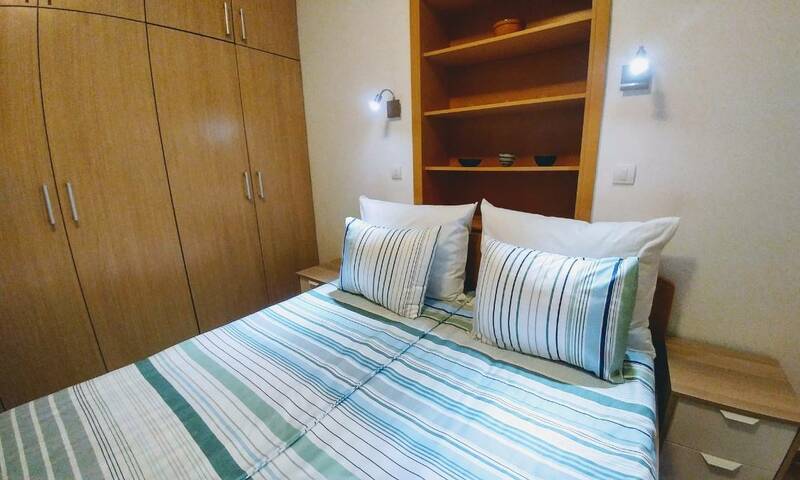 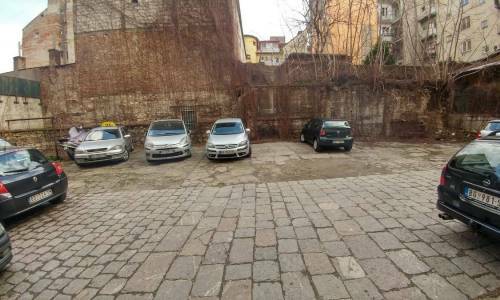 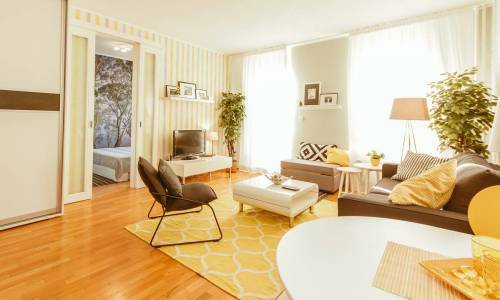 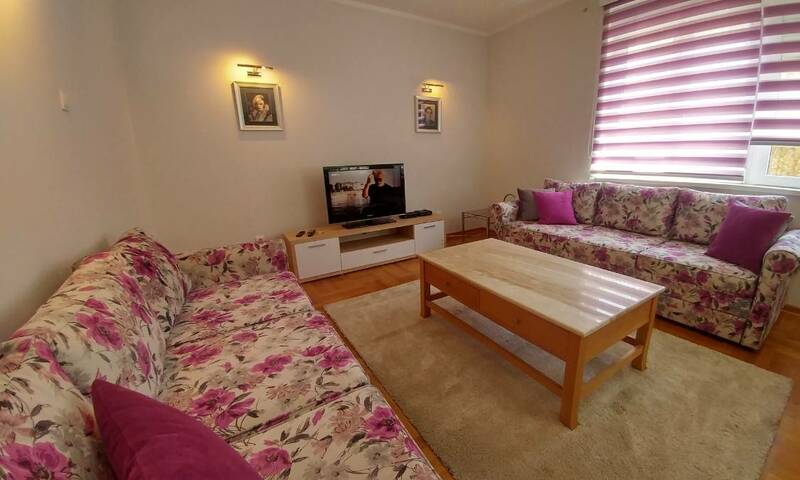 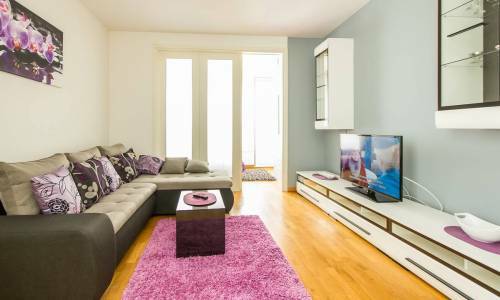 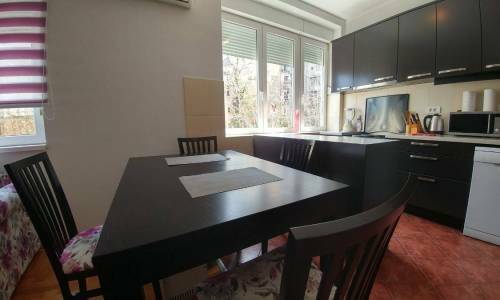 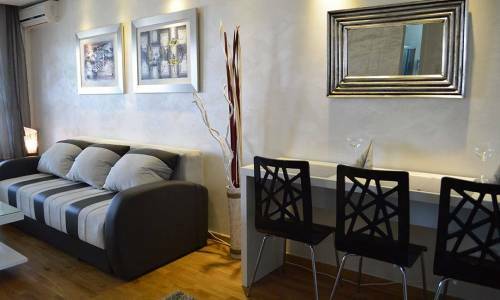 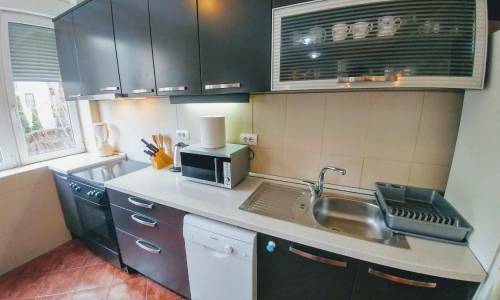 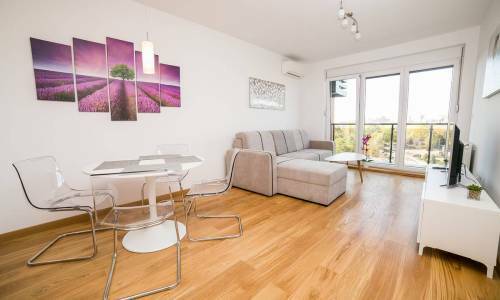 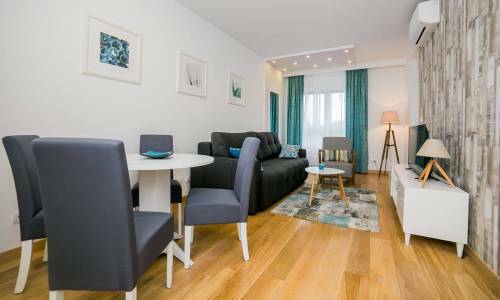 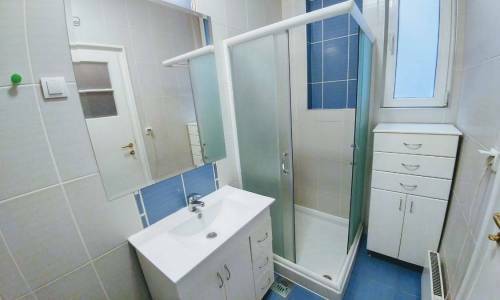 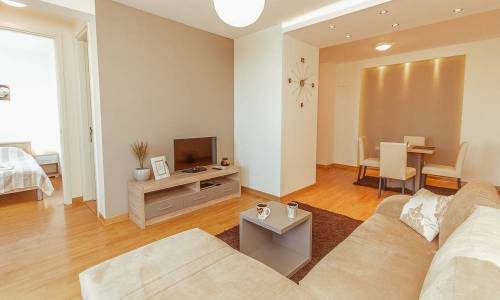 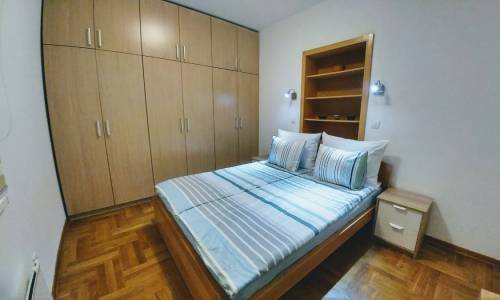 The great location, good size, nice interior and free parking inside the building is what recommends apartment Harmonija and we're looking forward to welcoming our new guests.